MTA were approached to design a contemporary extension to a Georgian terraced house in a conservation area in Islington. After detailed discussions and delicate negotiations with Islington Council conservation and planning departments, planning permission was won for a modern contemporary extension to the house at basement level with a traditional extension at ground and first floor levels. The works involved the basement extension and landscaping of the rear garden with new bathroom and study in the new upper rear extension and new bathroom at second floor level with all other spaces refurbished including new floor finishes. 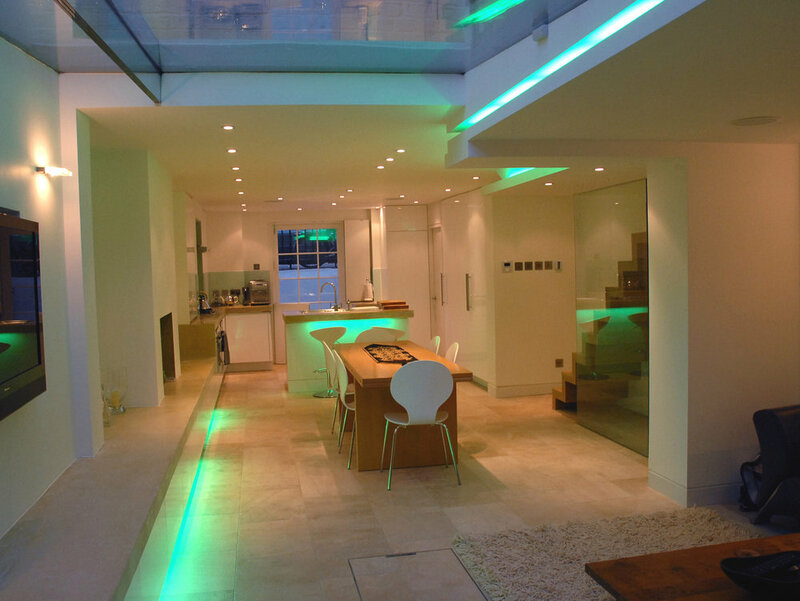 A modern contemporary open plan kitchen, dining and living area was created in the basement, beautifully lit with natural light from a structural glass roof and glazed pivoting door to the garden. 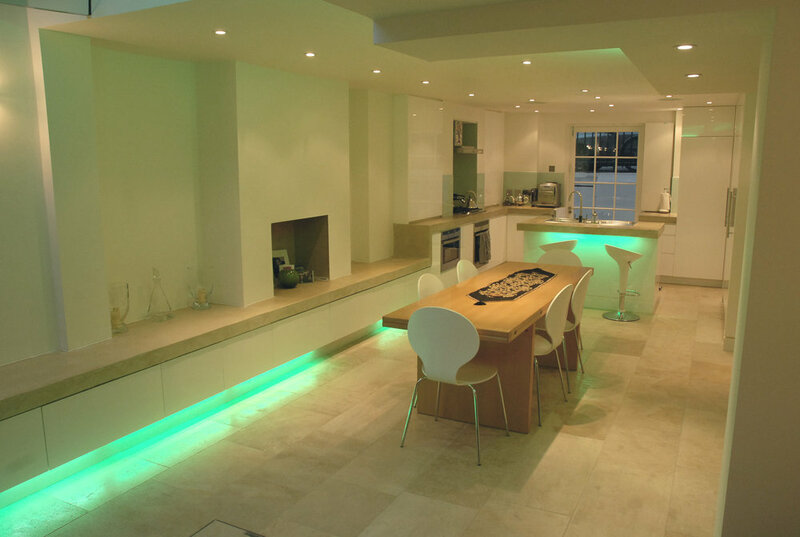 This transformed a dark area, constantly lit with artificial light, into a light open space flooded with natural light. A modern stringer-less oak stair links the basement with the ground floor and together with a flowing concrete worktop and shelf animate the space. The parapan clad kitchen reflects light from the street side and perfectly complements the limestone floor. Concealed coloured gel lighting allows the storage units and dropped ceilings to float within the space and reinforce the dynamic linear movement of the space from street to garden. The upper floors were refurbished keeping the traditional layouts, respecting the character of the house, with a contemporary bathroom installed in the new rear extension clad in painted glass, reflecting natural light through the space and lit by a full length hydraulic roof light.